#4567 at North Freedom, August 2001. Paul Swanson photo. 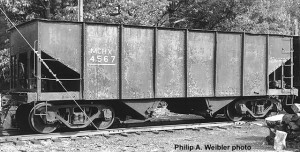 KGB&W #4567 coal hopper, date unknown. At North Freedom. Philip A. Weibler photo. 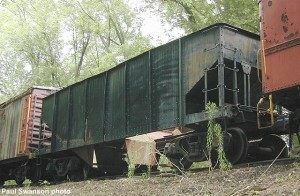 This early steel-construction hopper car is believed to have been built by Vulcan Iron Works in 1905 for an unknown customer. It eventually came into the hands of dealer Briggs & Turivas who in turn sold it to the Kewaunee Green Bay & Western in 1929. 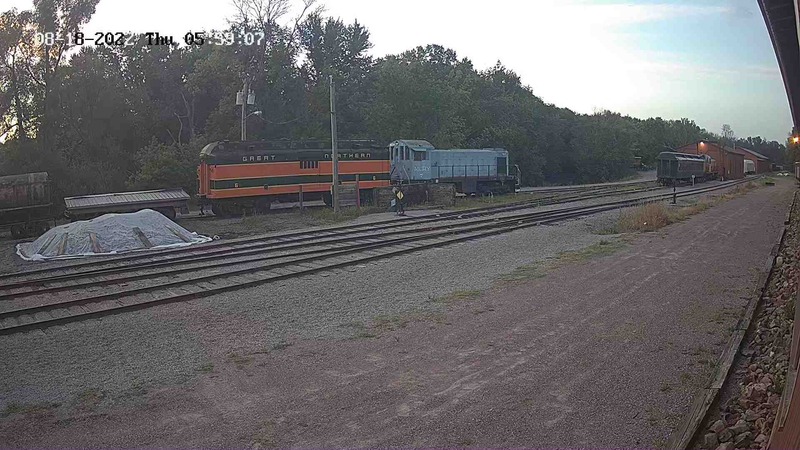 At an unknown date, the Green Bay Route sold the car to Wisconsin Power & Light Co. The power company never renumbered or relettered the car. In 1972, it was donated to Mid-Continent and moved to North Freedom. It has been used to store coal for steam locomotive use and occasionally used on demonstration freight trains to Quartzite Lake, despite Mid-Continent’s high tariff for coal shipments to Rattlesnake. About this time, Carnegie was building his own railroad, the Pittsbugh Bessemer & Lake Erie to carry coal, limestone, and iron ore from Lake Erie to his mills at Pittsburgh. 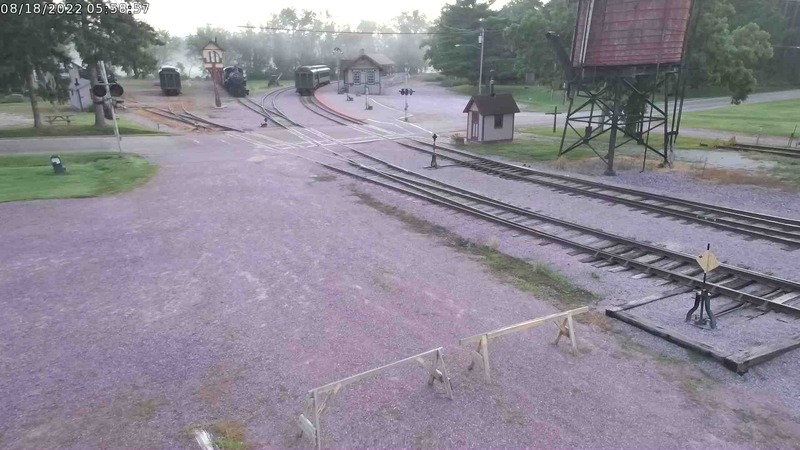 This entirely new railroad would require a new fleet of freight cars. Taylor convinced Carnegie to use a steel design for their fleet of open hoppers. In 1897, the first group of 600 cars were built by Schoen Pressed Steel Company of Pittsburgh. The final cost of each car was $1,000, twice the cost of its wooden equivalent. The cars were an instant success, carefully watched by the industry press. In 1898, another 400 were build for PB&LE. That same year, Pennsylvania Railroad tried five sample cars. They were quickly convinced of the steel car’s utility and durability. The steel hopper car literally burst on the freight car scene. Within four years, Pennsy had ordered another 10,000 cars. By 1908, Pennsy had 87,000 steel and steel framed freight cars on its roster. Other roads followed suit, and the steel freight car was well on its way to being THE standard construction of American freight cars. Today, 100-ton steel open hopper cars are used to haul coal across the U.S.